Montreux by Bastion! Great value for this bright and beautiful 2 bed/2 bath + den corner suite with exposure on three sides! The suite features tons of natural light, a large entertaining sized kitchen with gas stove and a fantastic large outdoor patio with gas hookup! Tastefully updated with a custom cast concrete fireplace, custom millwork and built in cabinets in the office, tile floor in the kitchen and entry, Bosch dishwasher, closet organizers, beautiful light fixtures and freshly painted! 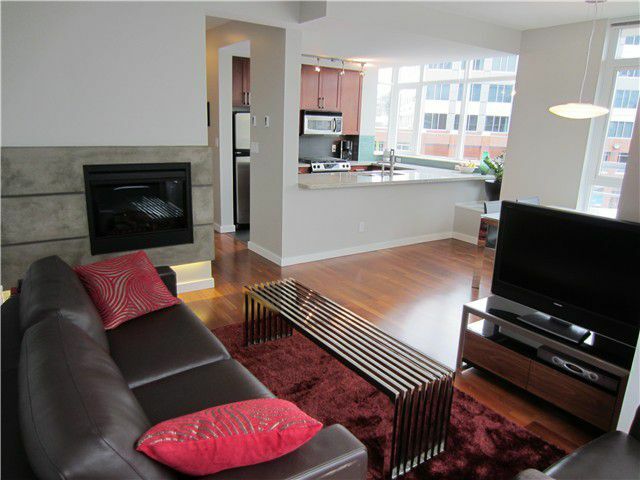 A very central location only steps from the Cambie Village, False Creek Seawall, Granville Island and lots of shopping!